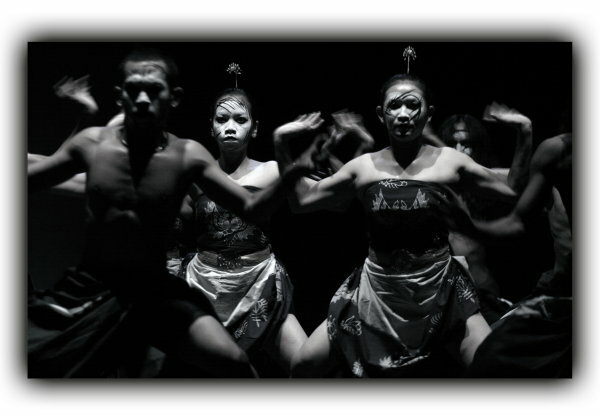 Solo Dance Studio is a professional dance company that eager to search in all Indonesian traditions and to establish the connection of the source. The process of dance and the intelligence of body movement are to reach a better understanding of dance and human life. Founded and established in 1995 as Girindha Natya Studio. Later however, in 1996 Eko Supriyanto as a founder, artistic director and choreographer together with Tria Vita Hendra Jaya as an artistic and lighting designer, along with five other company members re-naming the Girindha Natya Studio as ‘Solo Dance Studio’. It is name of solo City or Surakarta, but also means as soloist performance in the large group. Philosophically means dancing solo / single body as a truly honest performance. The missions are to creating an environment of learning, studying and developing process. To trained the principal of art of rehearsal and process. The exploration space that has no boundaries is a role for ‘Solo Dance Studio’ to look and find the possibilities of aesthetic movement, collaborative and choreographies with the knowledge of intellectuality to address honesty. With nine dancers, five choreographers, two team artistic and one artistic director, since 1996 ‘Solo Dance Studio’ has been creating and continuing a dance productions and presenting a cross Indonesia and abroad.